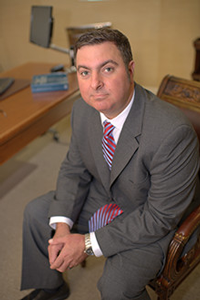 Kaleel Law, LLC is a respected law firm advocating for clients in Lemon Law, Foreclosure Defense, Consumer Protection and Unfair Debt Collection & Civil Litigation cases. Based in Jacksonville, we are familiar with the courts throughout all of Florida. Our attorney has the necessary skill to help you resolve your legal problem and we are fully committed to your success. Please read our profile to learn more about our professional background. When you retain the services of Kaleel Law, LLC, you can be assured that your attorney is fully qualified to take on your case. Kaleel Law, LLC sees your case through from start to finish. Let our lawyer work with you to address your legal concerns. Our office is conveniently located in Jacksonville. Call the firm at 904-683-8823 to arrange your consultation or contact the firm online. Kaleel Law, LLC is located in Jacksonville, FL and serves clients in and around Jacksonville Beach, Jacksonville, Atlantic Beach and Duval County.